A working group of the ACI World Safety and Technical Standing Committee was tasked to produce this updated version of the Apron Markings and Signs Handbook. Following its recommendations, we present this third edition, which now includes best practices for the application and maintenance of paint markings on aprons. 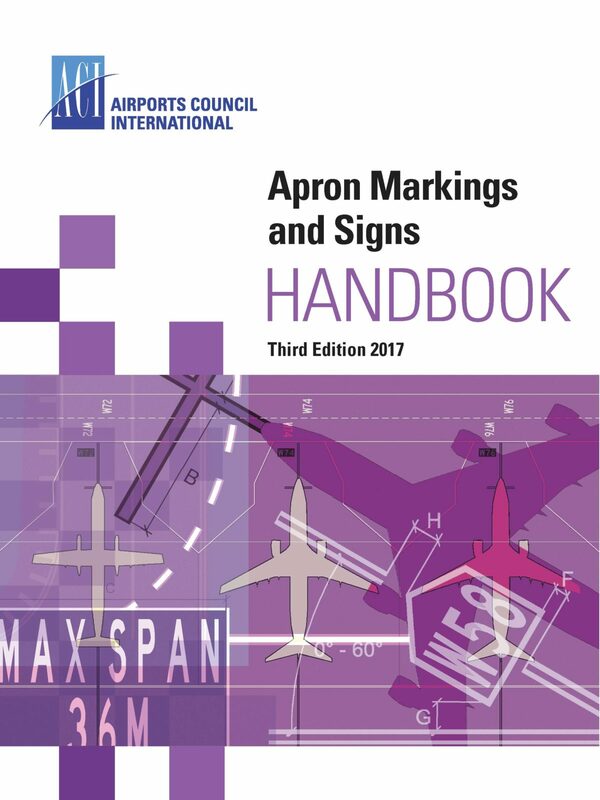 The two previous editions of the Apron Markings and Signs Handbook, which were published in 2001 and 2009, have provided airport operators with guidance on markings and signs for apron areas for the last fifteen years. The aim of ACI is to promote the greatest possible commonality of markings worldwide and the increasing acceptance and application of these practices, leading to a safer apron environment. These markings and signs supplement those provided in ICAO Annex 14, Volume I, and the ICAO Aerodrome Design Manual, part 4 (Visual Aids).